Sadly, I'm gonna miss Reno for the first time in MANY years. We'll be enjoying houseboating on Shasta. I was faced with the same dilemma not too many years ago. 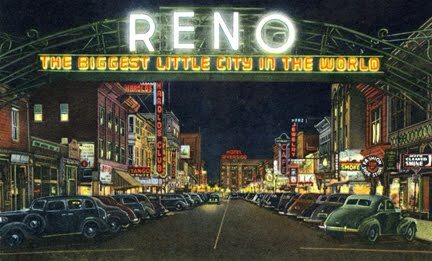 Turns out, Reno's a short trip over the hill. So, I did both. Kept the family happy by house boating & fed my passion for glass all in the space of one week. I'm going, but there is a certain dealer that we should boycott. I hear ya. Boycott the token thief bottle dealer from Redding ! Uh...Am I missing something here? The implication that a specific dealer committed a theft is a very serious accusation...Our hobby is all about reputation and most impressions of others seem to be based on perception not reality. Calling someone a "thief" is big time serious, so hopefully before someone's character is attacked, there is proof of an crime. Has the person been provided due process to explain any possible misunderstanding? Kind of scary. Word is, that this guy has been called on the phone several times days after the incident by both of the diggers of the token, and spoken to in length, and refused to admit that he has their token. He asked at Auburn to show the token to his partner, and never brought it back ! When asked for it back later the same day before the end of the bottle show by the diggers, he first claimed they never handed it to him, then he claimed that he already gave it back to them. What other due process can these guys do, other than taking the guy to court? Yeah, kind of scary for sure. The diggers of the token are well known bottle diggers and both have the highest standing possible in the bottle community and squeaky clean reps. No one I have spoken with doubts for one millisecond their integrity or dilemma re the situation with this bottle dealer from Redding that they were put into, and have had to deal with at and after the Auburn show. I don't know why anyone would avoid this subject of entry level hoodlum crime? Its not the first scam he's pulled and likeley not the last unless he is confronted by you the people. I have heard of several times where he sold a damaged bottle as mint, then acted like he didn't know the damage was there, and by the end of the situation convinced the buyer into feeling guilty for pointing out the damage. To top it all off, he has even charged some buyers with an inconvenience fee for taking back the damaged bottle. Them dam low lives need to be plucked from the scene before they take us all down with em. This is really sad reading the above posts. Dealers like whoever the person is being referred to in the above post should be ran out of town, or at least the bottle show when caught not marking items "AS-IS" ! If we allow our young collectors to be scammed and shammed by a few bad apples, we're being poor ambassadors to whiskey collecting and hurting the marketability of the bottles. Sure,most of us are not in it for the money and we all love the glass, but there always comes a time when we need or want to sell a few, usually in order to buy an even more expensive bottle, b ut sometimes just to pay a bill. Maybe the clubs sponsoring the shows need to step-up and see who is not following the rules. I know for a fact, that at one antiques show that I attend, the owner goes around early in the show making sure everything is old and that no inappropriate merchandise is being offered. Being a longtime whiskey bottle collector (since 1976), I have been contacted separately over the last 5 yrs by each of the 3 collectors and asked if this is the "norm" for dealers selling good whiskies at shows, and if I'd been "burned" before, and told why they won't buy fifths from ANY of the guys at the shows anymore. I find it very disheartening to know that 3 new collectors (all very enthusiastic, educated and with the means to purchase good bottles), are now out of the whiskey buying scene because of the same two dealers screwing all 3 of them. New collectors of good whiskies dont just walk in off the street every day, now do they? Anyone know if the dealer who swiped the diggers' token at the Auburn show is one of the dealers that has been passing off damaged whiskies as mint to the young collectors?? Why doesn't the bottle magazines, OBX or whatever, do an interview with the diggers of the token. If that was my token I would have blasted the incident to the entire show and hobby, then either pressed charges or handled justice ol west style. That slimebag thief from the san jose area seems to have disappeared from the show ciruit after being called out, maybe it will work for this thief also. I HAVE ZERO SYMPATHY FOR THIS BUM. As I have stated previously, we are in a hobby which is built on reputation, and integrity. This applies to every aspect of bottle collecting, and is not open to interpretation.Everyone makes mistakes, but every effort should be made to make it right.If someone is not happy with a purchase from me, I always offer to refund the buyer's money including shipping both ways, or whatever else will make them happy. This has resulted in a large repeat customer base, on the oregontrailantiquebottles.com website, and shows.In the case of the missing token, I would have simply filed a small claims case against someone who I truly believed stole something from me.This would really shine the spotlight on their behavior, and would most likely cause the culprit to either" settle" prior to court, or go through an ordeal of not just lying to a digger or two, but to a judge.This whole thread is concerning, and scary. To think that a conversation starting with enthusiasm about the upcoming Reno show has taken this turn.Sad...very sad. Good suggestions, Dale. You and I aren't perfect, but trading, buying, and selling bottles with you has always been enjoyable and more than fair! I do find it sad that a few bad apples and unfortunate deeds can spoil a lot of the joy of digging and collecting. I'm not sure if A.P. is referring to me as 1 of the 3 "burned" newer whiskey collectors, but if not, then I could certainly make my case to be #4....However my buying has turned off for other reasons as of late, like paying for a wedding, honeymoon in Maui, and furniture type stuff for the humble abode. I have been conditioned to be very cautious and leery about buying any bottles at a show, eBay, or an auction for fear of buying an undisclosed damaged or repaired bottle. And therefore have considered not buying any bottles unless I witnessed it being dug, know who dug it, or a bottle from a very close friend. What keeps me collecting and open to buying are the many pleasant experiences I've had with 98% of the collectors out there, and I have always enjoyed dealing with Jeff at American Bottle Auctions. I strongly believe one should base their personal judgments about any collector/dealer on one's actual experiences with the person(s). I've learned more this way than from casting judgments based solely on rumors or the experiences of others. I've only had one sour deal in all of my collecting with a dealer (who does happen to be the same person associated with the missing token). Luckily, in my case, it was a situation which was able to be remedied, and I have since bought several additional bottles from the same dealer with no further issues. I don't mind giving it a second chance after my issue. But I would certainly feel much differently if something was stolen from me. Undisclosed damage issues are always a tricky matter since it is subjective to determine whether or not a dealer is aware of any and all damage issues. I think nearly all of us who sell have had a bottle returned at some point. What is most important is making the situation work out; and although it isn't always fair, the customer is always right and should be afforded the opportunity to return a bottle (within a brief and reasonable period of time) when a repair or difficult to see damage issue is found out. Part of the fun of a bottle show, such as Reno is that the buyer does have the opportunity to view and inspect any purchases, prior to paying the seller. Responsibility, honesty, and thoroughness when "bottle-dealing" falls on both sides of the isle. I agree, that a police report or court of law is a better solution for prosecuting the aforementioned acts as compared with anonymous blog attacks and the rumor mill, even if the rumors are true. Accusations are groundless/meaningless unless a police report is filed and followed up on. Why was this not done if the dealer truly felt they were robbed and instead their letting them get away with it? Auburn PD is well aware of the problem at this show. They would love for someone to come forward with some creditable evidence of theft. The only way to curtail the problem is through aggressive action to convict & prosecute no matter who it is. Until this happens I can assure you the theft is going to continue at the current rate. It amazes me how most everyone just wants to turn their head to the problem and conduct business as usual at these shows, I find it simply unbelievable. Let it happen in your own home if you choose but it won't happen in mine. It's unfortunate that the actions of a few bad apples make ever dealer at a show no good in the eyes of some. Maybe a little shallow thinking too that no good bottles can be had at a show because of these guys which I know from experience to be totally un-true. The majority of bottle guys I know are trustworthy. Not everyone looks bottles over to the same degree as others. What's damage to some can be of no issue to others, I see this all the time. We all look at things in a different perspective, some of us just look a little harder than others. Look the item over before you plop down the money. Ask a buddy to look it over before you buy. Ask for a return privilege by the end of the day should you find any un-disclosed issues. Any reputable dealer will point out damage or give your full amount back if you find something wrong after a purchase. No matter who you buy from, the old adage "Buyer Beware" also applies to bottles. You bring up a good point. Why weren't the police called? Would these same people allow someone to break into their house and steal it then not call the authorities? Sounds to me like maybe their a little unsure about what actually did happen. Accusations of a crime should not be brought up here, I agree do it legally or sit down & shut-up. who needs collectors,shows,or any other bs. just give me a shovel and i'll be a closet digger and collector. lo pro mi amigos. The two dealers at the Auburn show searched through every box ,bag ,can and bottle they had looking for the token . I asked what in the L they were looking for snd they told me they were looking for a token that they considered buying . Said digger was asking too much for it as he had dug several of them which every collector of such things know brings prices down . They the lookers said they gave the token back to the digger only later the digger asked them where the token was . They told me that they were sure they gave it back but maybe because of the goings on during a show they they just thought they gave it back hence the search. They didn't have it folks . They then offered to give the digger what the token was worth in their minds even though they still thought they gave it back. Now people will say their offer was BS they should pay what the digger wanted . Yea maybe but what if the token was given back to the digger and he misplaced it or (heavens forbid)was running a scam on the two guys?I think their offer was given to put the issue at rest . I have dealt with the Redding pair for years and will continue to do so as for the token digger I think he should have handled the issue in a private manor . He said, she said. What a bunch of BS. Bottom line is, all parties involved should've resolved the situation far before the end of the bottle show and far before it got onto this blog !